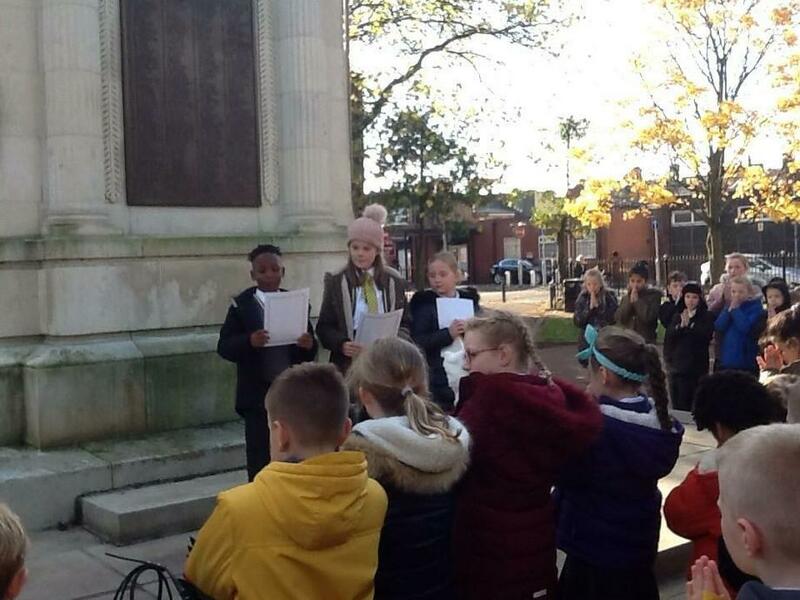 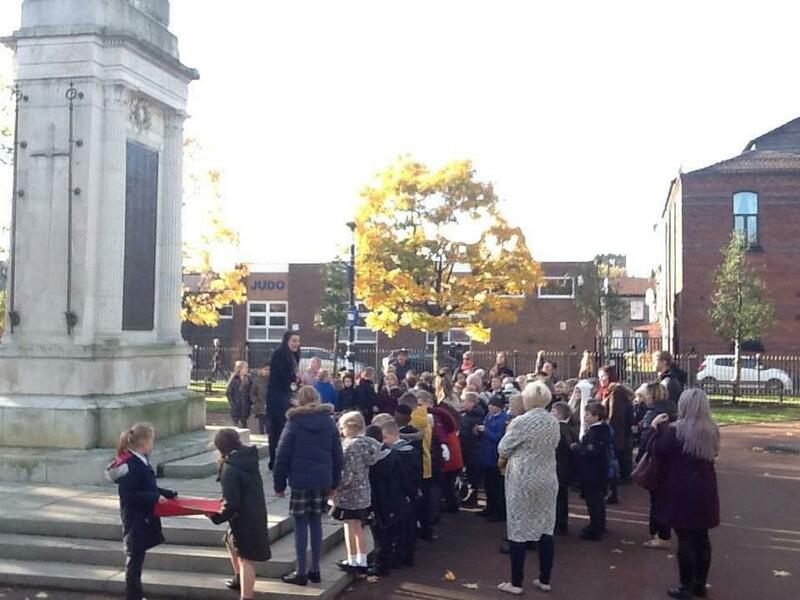 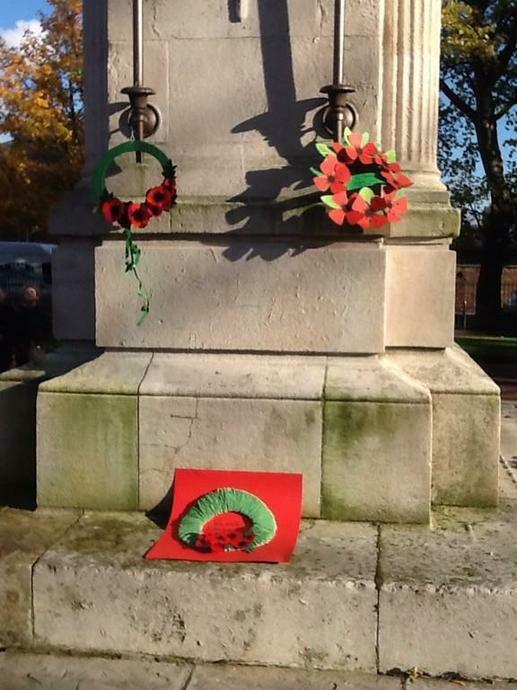 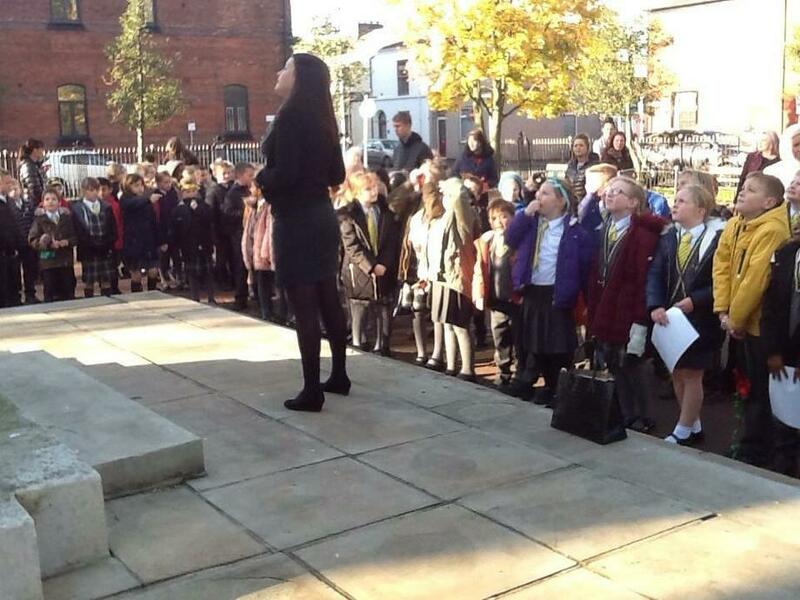 This afternoon, as part of their learning about the WW1 anniversary, all of the children in Y3 and Y4 visited the cenotaph in Leigh. 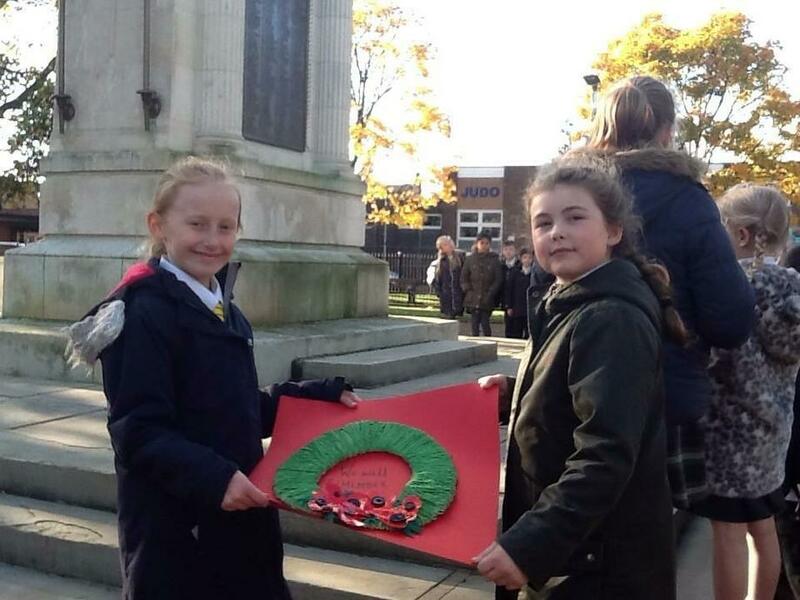 They made poppies earlier in the day and wrote their own poems. 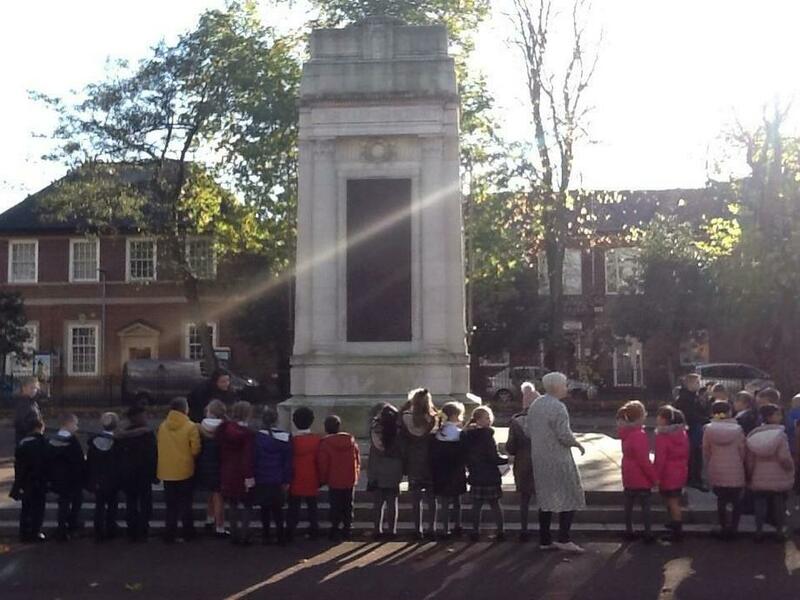 Once at the cenotaph the children looked at the names of the soldiers engraved on the cenotaph, read their poems aloud and presented their poppy wreaths.